In 2007, Acura released its first ever true crossover/SUV called the RDX. 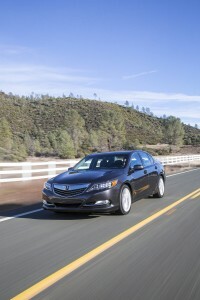 The Acura RDX came out in 2007 and got a second-generation upgrade in 2013. When it got its eventual facelift in 2016, many fans were disappointed because of the minimal changes aesthetically. But now that Acura announced a third-generation RDX, it looks like we’re finally going to get the updates we have been craving for. The competition is tough in this segment, and that’s why Acura has been super secretive on how the RDX will look like for this next major facelift. As for the competitors, get a load of these names: Audi Q5, the BMW X3, Land Rover Evoque, and the Mercedes GLC. The spied 2019 Acura RDX was heavily covered with a tent-like tarpaulin, so it’s hard to speculate how different this would be from the second-generation. The very secretive nature on how this was tested tells us it will be very, very different from its predecessors, and that will make Mercedes, BMW, and Audi take notice. The photos showed that the new RDX will get the same Jewel-Eye headlights, though the unique LED strips will give a sleek-looking fascia below. 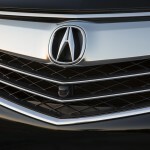 The grille would probably be similar to the MDX, particularly a larger version of the diamond pentagon grille. Acura won’t ever go extreme when it comes to the body lines department but still, expect to see a more aggressive styling than the ones on the current generation. There’s going to be a revamped interior, that’s for sure, with Acura most likely going for a clean dashboard that has all the controls the driver needs—infotainment system, HVAC controls, and a few other buttons. Traditionally, Acura has been left behind in the luxurious interior department by its competitors so hopefully, it will do something radical this time around. Some of the things we’re expecting from the new RDX are: a new center console, a redesigned shifter, an updated instrument cluster, and a new steering wheel. Right now, RDX packs a 3.5-liter V-6 engine for all trim levels. It produces a fair amount of power at 279 horsepower, 6,200 rpm, and 252 pound-feet of torque. For the 2019 model, Acura might have to go down to the same engine under the hood of the Honda Civic Type R—a 2.0-liter version with the same output as the V-6 engine. 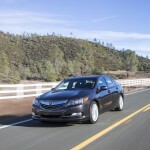 The only difference is that the 2.0-liter version will save more weight and be more economic. 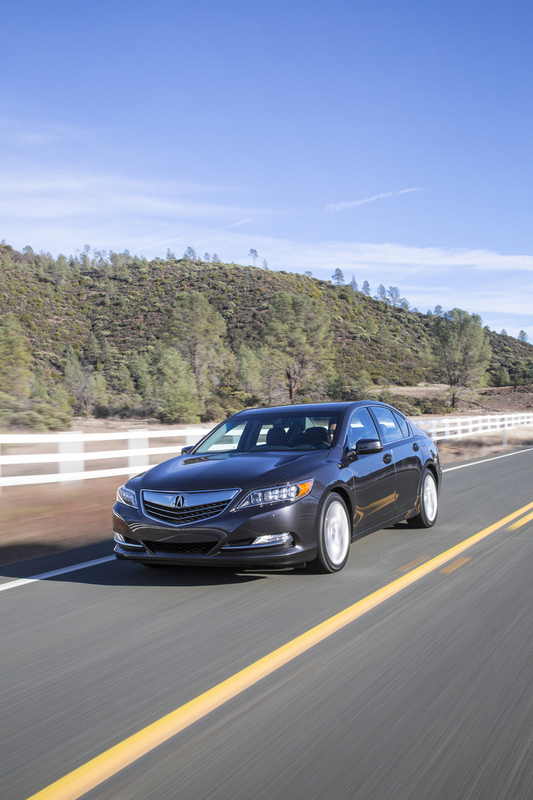 The 2017 Acura RLX is the most lavishly equipped and technologically advanced Acura sedan, and it will go on sale tomorrow at Acura dealerships nationwide with a manufacturer’s suggested retail price starting at $54,450. According to Honda, the Acura sedan offers refined and spirited driving experience, and boasts of standard premium features such as a direct-injected DOHC i-VTEC V-6 engine that contributes to the flagship sedan’s EPA fuel economy ratings of 20/30/232 mpg (city/highway/combined). It can produce 310 horsepower. The Sport Hybrid RLX model, on the other hand, shares technologies with the Acura NSX like the Super Handling All-Wheel Drive. It will go on sale later this fall. 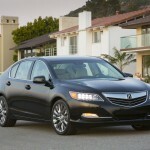 The two-wheel drive RLX will use Acura’s Precision All-Wheel Steer system, which can create a rear-wheel steering affect to sharpen low- and high-speed maneuverability and stability. 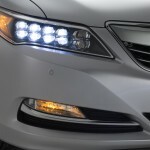 All RLX models will come standard with Acura’s Jewel Eye™ LED headlights, 19-inch bright-finished wheels and next generation AcuraLink® connected car system. It also features AcuraWatch™, a comprehensive package of safety and driver assistive technologies that include Collision Mitigation Braking System™ (CMBS), Adaptive Cruise Control (ACC) with Low-Speed Follow (LSF), Forward Collision Warning (FCW), Lane Keeping Assist System (LKAS), Lane Departure Warning (LDW), Blind Spot Information (BSI), Cross Traffic Monitor, and Road Departure Mitigation (RDM). The AcuraWatch™ is standard to all trims, though the 2017 Acura RLX has two grades—the RLX with Technology Package and RLX with Advanced Package, both of which can deliver advanced performance, comfort and convenience. 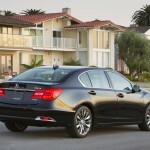 To improve the overall ride and handling quality of the sedan, the chassis in the Acura has been redesigned, restructured and has undergone multiple tuning. It will also reportedly reduce vibration, noise and harshness. As for safety rating, it received five stars from NCAP Overall Vehicle because of its next-generation Advanced Compatibility Engineering and seven airbags (including driver’s knee airbag). 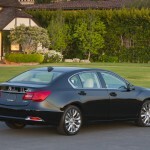 The RLX with Technology Package will be sold for $54,450 while the RLX with Advance Package is priced at $60,450. It was safe to assume we’ve seen the last of the Acura NSX because it has just went on sale last month with the launch of its online configuration. 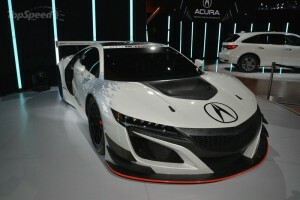 But then, it just showed up at the New York Auto Show with a GT3 variant of the Acura NSX. 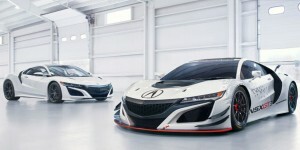 There was an announcement too that Acura plans to turn this model into a GIA GT3 race car this fall based on a report. In terms of overall design, there is almost no difference between the NSX and the NSX GT3, except for the latter’s new hood that sports a larger vent for cooling down the engine. The fascias, headlights and front grille are also the same. What’s new is the larger front spoiler that extends several inches away from the fascia, giving the NSX GT3 a more truck-like appearance. On the sides, the GT3 is more toned down than the NSX. 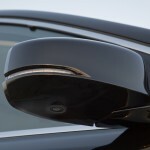 The mirror arm sits almost vertical and the mirror housing is smaller. The aggressive body line we’ve seen on the NSX is no more. Instead, it has been toned down to fit the smoother side skirts that transition into the rear wheel arches and the rear quarter panels. This was probably done to assist in air distribution. To make it lightweight, the GT3 was wrapped with a lightweight, aluminum-intensive space frame. The main color is white, though there are black accents around the grille and the fascia’s flics, hood vent and rear air intakes. There is not much information yet about the drivetrain, though we have a thinking that the GT3 will be powered by a 3.5-liter, 75-degree, twin turbo DOHC V-6 that has the same engine specs as the road-going NSX. The engine block, cylinder heads, valvetrain, crankshaft and pistons will be similar as well. The current road-going NSX can produce 573 horsepower and 476 pound-feet of torque. The GT3 will most likely upgrade these figures. We can base the GT3’s future pricing to the Porsche 911 GT3 R, which has a current price tag of $479,216. If it’s even possible, Acura has made overlooking its new NSX more difficult. 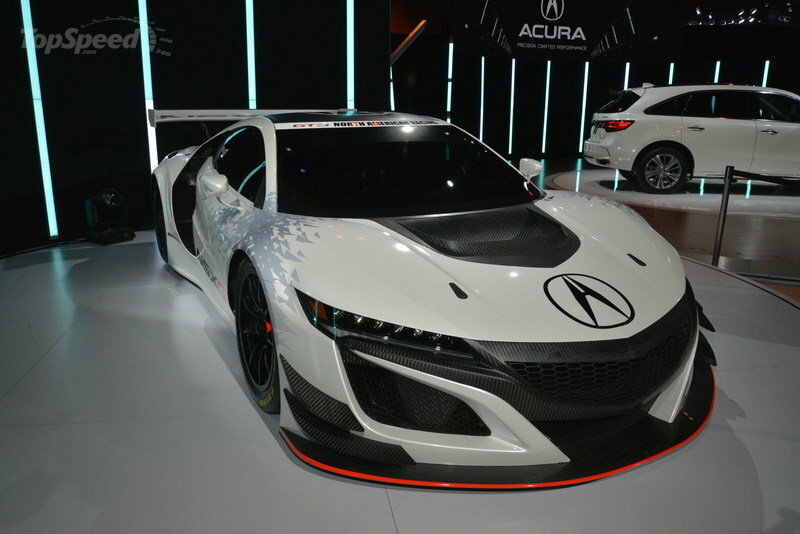 Although we know for a fact that the Acura NSX went on sale last month, we were still surprised with the unveiling of the 2017 Acura NSX GT3 during the 2016 New York International Auto Show. Of course, even more surprising is the fact that Acura plans to homologate the model as an FIA GT3 class race car this coming fall. The Acura NXS GT3 features custom bodywork and aero components such as a deck wing spoiler, underbody diffuser and enlarged hood vents for efficient engine cooling. It is powered by a 3.5-liter, 75-degree, twin turbocharged DOHC V-6 engine. The power unit shares the same specifications as the engine in the production 2017 Acura NSX. This allows the NSX to produce 573 horsepower and 476 pound-feet of torque. The NSX has a top speed of 191 mph. Surely, the GT3 would receive some upgrade on this regard. The cars also share the same block, heads, valve train, crankshaft, pistons and dry sump lubrication system. The engine will be paired with a 6-speed, sequential-shift racing gearbox that puts power on the rear wheels. The GT3 version, however, has a new hood that has a larger vent, which is perfect for engine cooling. It has a new and taller air dam as well with a large front spoiler below it. Acura has yet to reveal details of what’s inside the GT3, although a photo showed that it would have an extensive roll cage, carbon-fiber racing seat, a flat-bottom steering wheel with buttons on the left and right spokes, and a driver information center. The current Acura NSX has a selling price of $168,400, but expect the NSX GT3 to cost significantly more, especially with the expected changes. Its current competition, the Porsche 911 GT3 R, goes for $479,216. 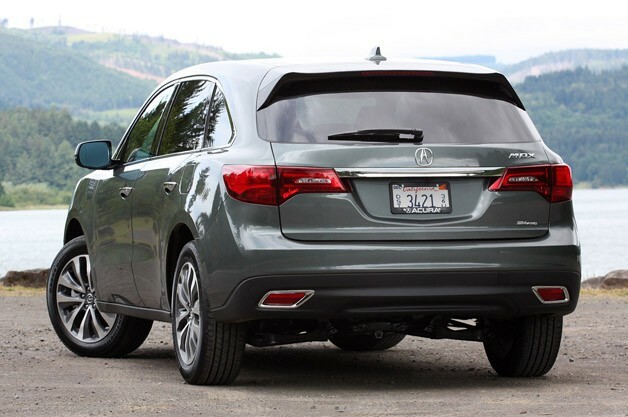 For 2014, Acura has completely redesigned its MDX model with highlights like improved fuel economy, luxurious high quality interior and improved control interface. The revamped 2014 Acura MDX illustrates its evolution as well as benefits it comes with. The previous generation SUV model from Acura was quite a success among buyers, especially the ones who like midsize luxury crossovers because it came with luxurious nature and sporty performance at a much lower price as compared to other luxury midsize crossovers. But, as we say there is always a room for improvement, so has already been implemented by Acura in its new MDX as they have made some canny upgrades to present a more refined version with the aim of achieving broader appeal. MDX which hit the market last year has the same platform as Honda and Odyssey, however this year it comes with a rather new platform that provides a slightly increased interior room. The addition of useful new features in 2014 Acura MDX like forward sliding second row with touch button feature to facilitate third row seats access makes it a complete value for money. Array of control buttons which were quite a put off in previous versions do no longer exist and have made way for a smarter 7 inch touchscreen panel making dash look more cleaner and modern. 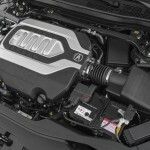 Under the hood, 2014 Acura MDX has introduced new 3.5 liter V6 engine which offers lower end torque because of its direct fuel injection technology. However, the horsepower is less by 10hp if compared to its previous version 3.7 liter engine. The car maker is saying that their new MDX is powerful enough to reach from 0 to 60 mph half a second earlier then what its previous version was offering because this time they have reduced weight almost by 275 pounds. The newly introduced engine also brings with it improved fuel economy and their AWD models specifically offer up to 17 percent improvement in the mpg. Make a first critical move in its midsize crossover production, Acura offering MDX 2014 with two wheel drive option which is quite a gift for buyers living in mild climates as it becomes fuel efficient and less expensive. The talent featured by Acura MDX all these years is quite formidable, but it also faces tough competition from the better and pricier versions of midsize crossovers which also ready to hit the 2014 SUV market with even more pomp and show. Giving direct competition to Acura MDX is 2014 Buick Enclave, which is undoubtedly more spacious and less expensive but also lacks the refinement and handling offered by Acura. In refinement and technology, 2014 Acura MDX has a competitor in 2014 BMW X5 which is more or less a performance oriented SUV but is slightly higher on the price band. On the other hand, Infiniti’s QX60 and MKT from Lincoln fail to offer enjoyable driving dynamics which are a positive point with Acura MDX. So, if you are also looking for a midsized SUV that can offer pleasant handling, excellent driving dynamics, and lovable features then highly evolved 2014 Acura MDX is our best pick.